Hello everyone! 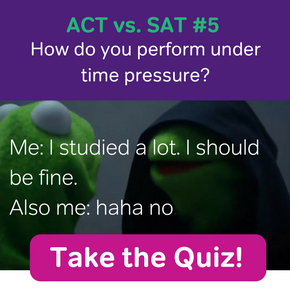 I’m Jon Chang, and I’m the latest addition to Magoosh’s SAT and ACT blogging squad. If you feel lost at sea the minute you open your review books, I’m there to be your navigator. It only seems fair that you should get to know me a little bit, so you know I won’t run the ship into an iceberg. First: I really, really, REALLY like to learn. When I graduated from college, I was fascinated with how our brains process words, especially when we learn a foreign language. I studied neuroscience and learned all about the intricate pathways involved in sound and language processing. Then, I got super hyped to talk with my classmates about their work. I changed career directions and got a journalism degree. Now, I satisfy my curiosity by talking to all kinds of people who know a lot of things, and translate their expertise into something you and I can understand. Second: I love seeing how things connect to each other. You know that crazy guy who spends all night at a bulletin board, tying photos together with red yarn? I’m pretty much that guy. 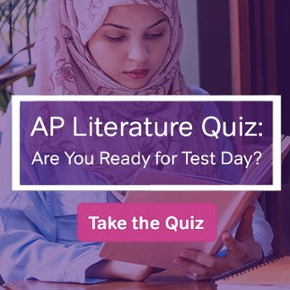 “Okay…so what does this have to do with test prep?” you may be wondering. Think about those reading passages that are 100 lines long. Yes, they are usually boring. And yes, they often not fun to read. But in the end, I learn something new. I approach them thinking, “I’m going to LEARN something by reading this.” I become more invested in the passage and retain information better. By holding onto that information a little more securely, I’m in a better place to answer those questions that ask what an author is trying to do when he or she wrote a particular sentence. As for being the red yarn conspiracy theory guy, that’s how I think about math. 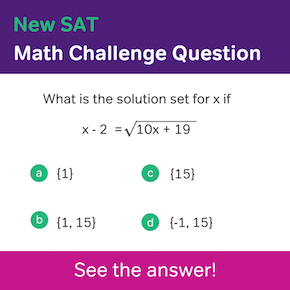 Each question on the SAT and ACT will test a specific concept, like similar triangles or algebraic expressions. But there are often multiple pathways I can take to solve the same question. Those paths are connected to one another, and seeing how they connect gives me a leg up in answering the question. I can solve the question one way and double check my answer by solving it a different way. In addition, knowing how numbers relate to one another lets me do common sense checks while figuring out a problem. If the answer choices violate my common sense check, I can eliminate them sooner and focus on what’s leftover. So that’s how I hope to help you all in conquering your standardized test. I’m looking forward to it and hope you are too. Jon has a degree in neuroscience from Johns Hopkins University and a degree in science journalism from New York University. It's safe to say that he's learned a lot of things over the past decade, but he's learned how to write about those things too. 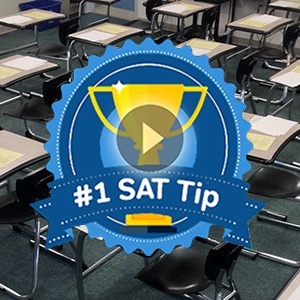 All the while, he’s been tutoring students, helping them better understand their own coursework and showing them how to crack the code of the SAT and ACT. When he's not doing that, you can usually find him singing, playing violin, or coming up with bad puns.